Vogelartikelenwebshop.nl respects the privacy of all users of its site and shall ensure that the personal information you provide is treated confidentially. We use your information to process orders as quickly and easily as possible. For the rest, we will use this information only with your permission. Vogelartikelenwebshop.nl Your personal details will not sell and will only be made available to third parties who are involved in processing your order. If you place an order, we need your name, email address, delivery address and payment information to process your order and you carry it on their progress to keep. 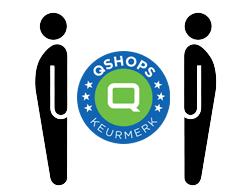 To make shopping at Vogelartikelenwebshop.nl as pleasant as possible, we store with your consent personal information and the details regarding your order and the use of our services. This allows us to personalize the website. If you Vogelartikelenwebshop.nl place an order, we keep, if desired, your data on a secure server. You can create a username and password so that your name and address, telephone number, email address, delivery and payment information, so you do not need any new orders to fill. If you respond to a promotion or contest, we ask your name, address and email address. This information is used to perform action, the winner (s) to disclose, and the response to our marketing efforts to measure. Vogelartikelenwebshop.nlzal your personal information to third parties and will only sell to third parties who are involved in processing your order. Our employees and our third parties are required to protect the confidentiality of your personal information.